Pimp your poached eggs - here are three classic ways to serve the breakfast staple. 2. For the hollandaise sauce, melt the butter in a small saucepan. Place a heatproof bowl on top of another saucepan of barely simmering water. Add the egg yolks and water and whisk until fluffy. Add the butter a little at a time until a thick sauce forms. Whisk through the lemon juice and salt. 3. 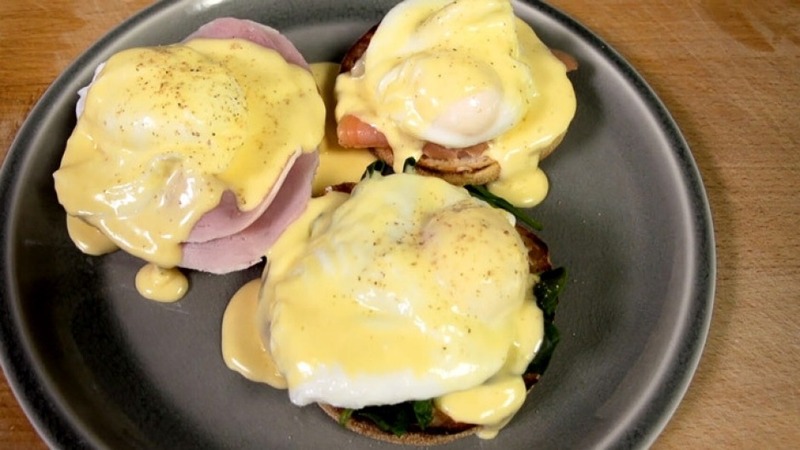 To assemble the eggs benedict, toast the muffin halves and top with just a little hollandaise. Add the ham and top with a poached egg. Finish with the hollandaise generously over the egg and grind over black pepper.